Sometimes, all you want from an airport hotel is a comfortable bed and a good meal, so why pay extra for bells and whistles you don't need? 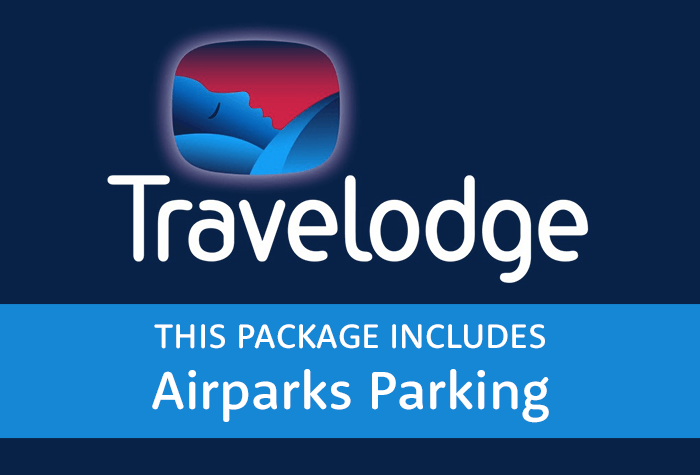 This package includes a night's stay in the Travelodge Birmingham Airport Hotel before your flight, with parking at the nearby Park Mark-approved Airparks car park and a transfer bus to the airport, at a price you can't argue with. What else do you need? If you're after a convenient Birmingham airport hotel that won't break the bank, you've come to the right place. 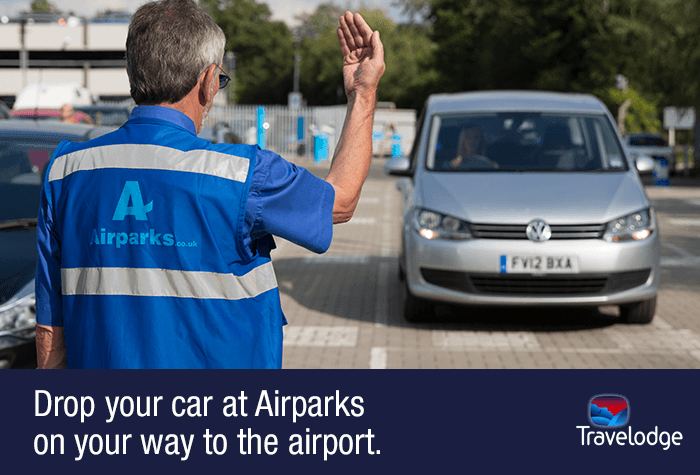 Secured parking - Your parking is at Airparks, a secured car park with fast, frequent transfers to the airport, but you will have to pay £7.50 to park overnight at the hotel. Budget beer - The hotel bar has prices you'll want to take advantage of. Cheap food - A cafe in the hotel has meals starting at less than a tenner. Affordable wifi - Get online for 24 hours for just £10. 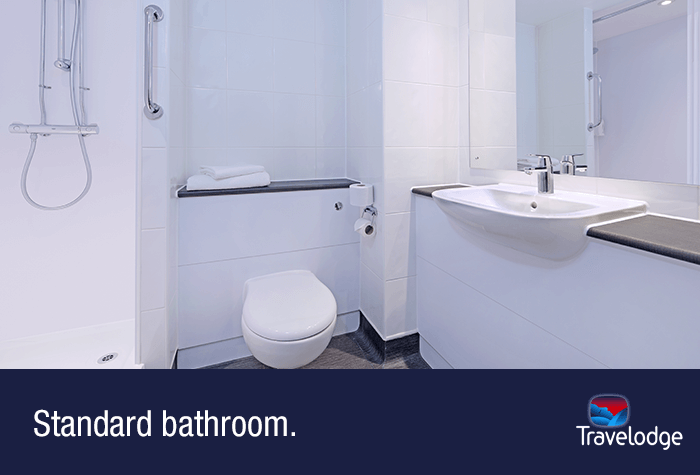 All rooms at the Birmingham airport Travelodge have an en suite bathroom with towels, a television, wifi internet access and all you need to make tea and coffee. Additional items are available from reception, including an ironing board and iron, a hairdryer and extra pillows, sheets and towels. 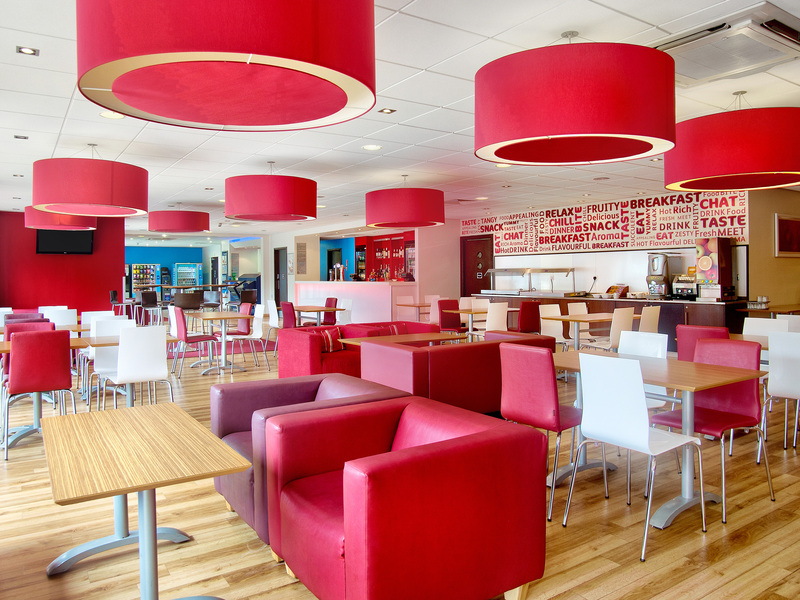 The Travelodge Birmingham Airport features a cafe/bar and wifi access at £5 for an hour, or £10 for 24 hours. 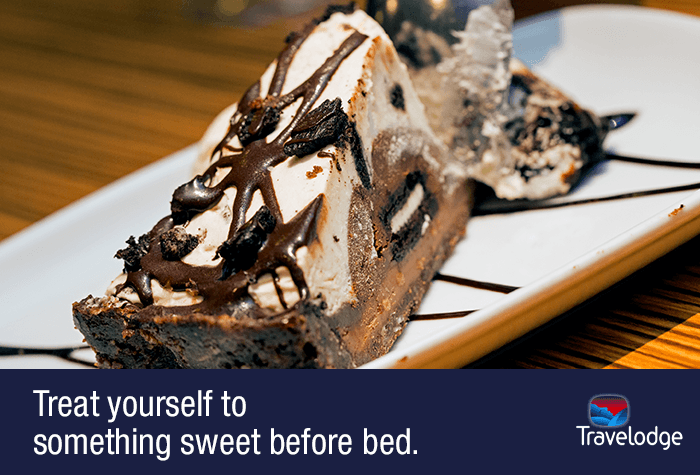 The Travelodge's on-site cafe serves burgers, pizza, curry, fish and chips and other favourites, with prices starting from £6.75, and regular offers and specials to keep your wallet happy as well as your stomach. The hotel's cafe doubles as a bar and can provide a selection of wines, beers, spirits and soft drinks until 1am. Birmingham airport hotels with coach travel to Birmingham airport included - Let someone else do the driving and rest the night before your flight. Birmingham airport hotels with rail travel to Birmingham airport included - Leave the car at home and catch the train to the airport, it's easy. Pre-book your train tickets and enjoy special reduced rail fares, unrestricted travel times, and avoid the motorway traffic. Perfect. 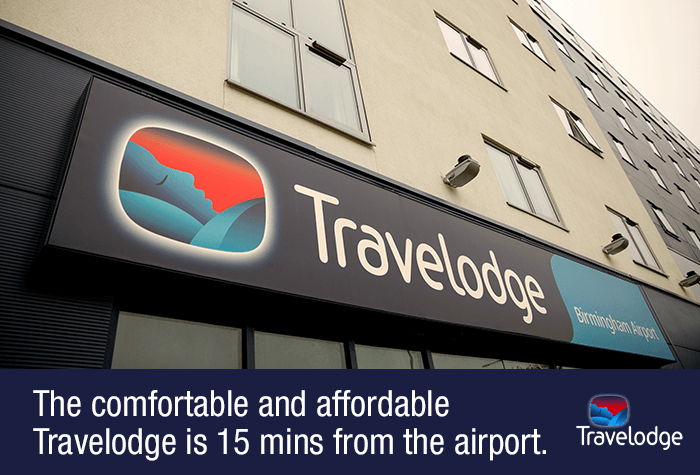 Travelodge is just around the corner from the airport, less than half a mile from the terminal. Park in the hotels car park and check-in at the hotel overnight, its £16 for 12 hours, or £33 for 24 hours but we recommend booking in advance with NCP directly, as it will be cheaper. In the morning, drive to Airparks. Once youve parked your car, take the shuttle bus to the airport. It takes 14 minutes and runs every 25 minutes, 24 hours a day. Guests tell us the rooms are clean, warm and comfortable. Wifi is free for 30 minutes and costs £3 per day for 2 devices. Guests tell us its fast and reliable, so worth paying for if you dont have much data. 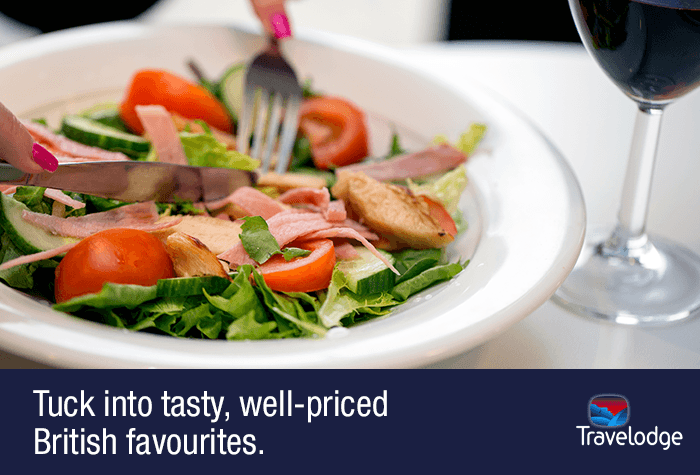 The hotel restaurant offers a range of classic dishes, starting from £10.20pp for a main meal and a soft drink. Theres also a kids menu available, with 3 courses and a drink for £5.95. Breakfast is an unlimited English and continental buffet, served in the hotels restaurant. Continental is £5.95pp and if you want a cooked breakfast, its £8.25pp. Served from 7am - 10am on weekdays, and from 8am - 11am at weekends. Disabled facilities The hotel has disabled rooms. Each disabled room has a vibrating pillow and a wet room. Drive to the hotel and park in the hotels car park overnight, its £16 for 12 hours, or £33 for 24 hours. In the morning, drive to Airparks. Once youve parked your car, take the shuttle bus to the airport. It takes 14 minutes and runs every 25 minutes, 24 hours a day. Once youve checked out, drive to Airparks, park your car and take the included shuttle bus to the airport. It takes around 15 minutes and runs every 25 minutes, 24 hours a day. When youre back, collect your luggage and take the bus back to Airparks to collect your car. Info was not clear about the extra charge for hotel parking prior to confirmation and very expensive @ £33 for one night. Our customers rated Travelodge on average 8/10 (78 reviews). Read Travelodge reviews.